The attorneys at IKON LAW, LLC will help you create a comprehensive estate plan that can help alleviate both your own stress and that of your loved ones during difficult times, whether it be updating existing documents or creating new documents to better suit your particular needs and wishes. Life is full of uncertainty. Estate Planning can provide both peace of mind and protection for yourself, your loved ones, and your personal assets presently, during periods of incapacity, and at the end of life. Without the utilization of proper Estate Planning, South Carolina Intestacy Laws will determine how your assets will be distributed, without any consideration of your personal wishes as to conveyance. Changes in Employment- Position/Status, etc. IKON LAW, LLC can help you with your Wills, Trusts, and any other Estate Planning matters. 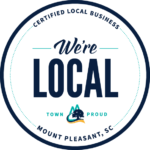 Contact us today at 843-416-8498.